The drivers of the Thursday Thunder Legends Series Presented by Papa John's Pizza cranked up the intensity once again for week 3. A couple of new winners, a streak broken, and the first cash in for the bonus points opportunity in the VP Racing Fuels Pro Division, had fans on their feet all night long. The Rookie Bandoleros Division kicked off the night with an upset victory. Dallas' Bryson Matthews charged up to the front at the beginning of the race, while Acworth's Lee Brown followed close behind. A misstep on the part of Matthews led to Brown taking over the lead. Both Brown and Matthews got too close for comfort, rubbing doors during the closing laps. As the leaders were battling it out, Shelby Schell of Dublin snuck around the two to take the lead and ultimately the win. The Chargers Division took to the track next, with a three-car shootout. Max Hennebaul, heralding from Monroe shot out to the front as the green flag waved. However, Woodstock's Hayden Swank would not be left behind in the dust. Swank and Hennebaul fought for the lead until the very end, where Hennebaul ended up taking home the victory. The GRT Racing Driver Development Outlaws Division saw a nonstop battle for the lead between Blaise Maddox from Locust Grove, and Marietta's own back-to-back winner, Kenny Brady. Maddox jumped out front at the get go with Brady prowling in the third position. As Brady jumped into the second position, it seemed as if Maddox's time up front would be short-lived. However, Maddox held tight to his lead, bumping and sliding against Brady for the coveted position. Scraping together during the entirety of the final lap, Maddox pulled away just enough to lock in his first win of the season and put an end to Kenny Brady's win streak. The racing veterans of the Masters Division took the green flag with Locust Grove native Bill Plemons Jr. leading the way. The battle between himself and McDonough's Robbie Woodall continued on throughout the event as they battled for the prime position and points lead. Woodall caught up fast to Plemons, tapping his bumper along the way. Plemons continued his leading ways throughout the feature. A mistake from Mark Swan of Athens and Dennis Hecht from Hoschton ended the event under the caution and checkered flags awarding Bill Plemons his second victory of the 2018 season. Plemons now has a steady points lead over Robbie Woodall. Woodall, who finished in the second position, will fight to bounce back from the points deficit next week. The young up-and-comers of the Bandits Division lit up the track for their 20-lap feature. A couple of faulty starts led to Carson Ruark from Suwanee running away with the lead after the green flag officially dropped. Locust Grove's Ryan Younginer would not give up so easily as he battled Ruark in the turns of the "Thunder Ring" throughout the feature. Ruark would prove to be the best in the field as he pulled away for the win. 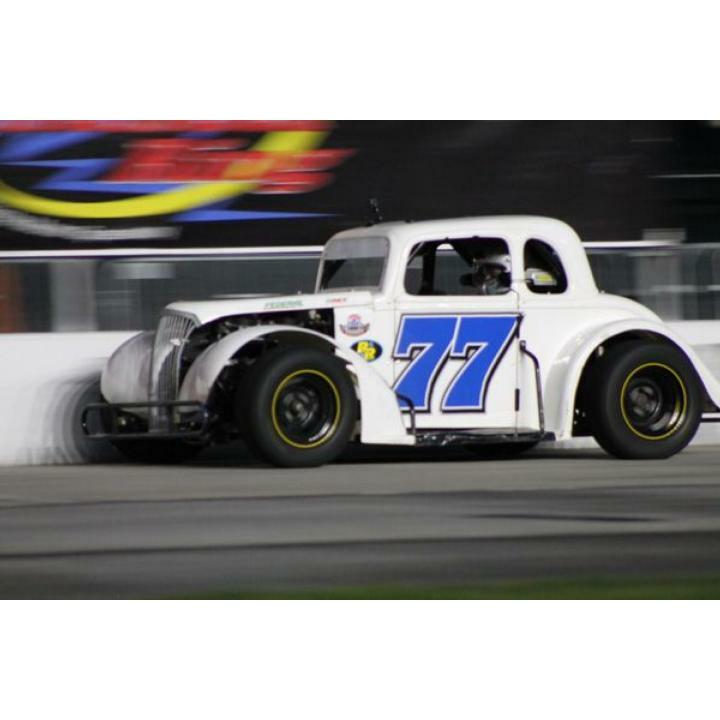 The stars shone bright during the 25-lapper feature of the VP Racing Fuels Division. With the option to choose where to start in the field in order to try to earn bonus points, last week's winner and Canton's own Dawson Fletcher, chose to start last. Although Griffin's Cody Hall took the initial lead away from Eatonton's Rafe Slate, it was obvious that Fletcher was out to capitalize on his good fortune. Making his way up to fourth with just five laps in, the frontrunners of Hall, Jorgensen, and Slate began to feel the pressure. Fletcher seized the third position away from Slate on the sixth lap. By lap 20, Fletcher had passed Stockbridge's Jensen Jorgensen and Hall. Fletcher ran with the lead and captured his second straight win of the season. "I knew we had a great car thanks to Doug Stevens who has been perfect the past couple of weeks, explained Fletcher. "I felt confident in the car and knew that if I was slow and picked my way up to the front I might be able to get it." When asked why he chose to start last Fletcher said, "We missed one race and if we want to be in contention for points this is what we had to do. We had to start in the back and bring it to the front." Last week was scheduled to be a one-off race for Fletcher, which has now turned into two weeks running and winning. He was asked if he would make a run for the championship. Fletcher gave his thoughts on the possibility, "I'm not sure yet, it depends on how my schedule goes. But as of now, I think we might give it a shot! It was a last second decision to come out and make a run at it tonight and it was a great decision. Hopefully we'll be able to collect points for that." The Associates Group Insurance Young Lions Division turned into a scrappy battle between Social Circle's Lawson Ingold and Pictou, Nova Scotia's Austin MacDonald. Ingold led a majority of the event, while MacDonald waited patiently in second. As Ingold turned the wheel too sharply in Turn 2, he slid out of his groove, opening the door for MacDonald to seize the opportunity. 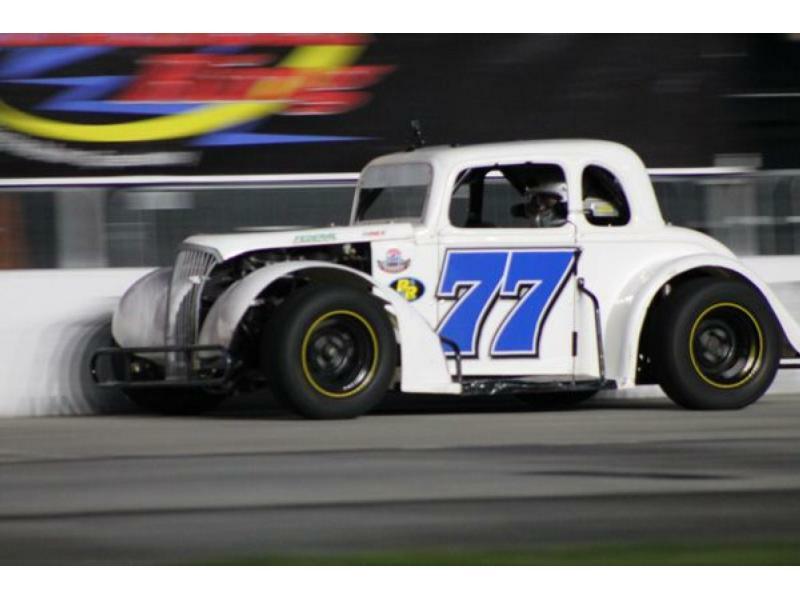 MacDonald drove out front to his first ever Legends victory. The Semi-Pro Division closed out the night with a tale of perseverance. Right at the start, Jason Treschl of Lagrange led the way for his competition. Treschl hardly had a moment of peace, as his rearview mirror was full of the cars belonging to Fallston, NC's DJ Canipe and Johnston IA's Sammy Smith. Treschl dug deep to pull away from the two, but faced a new threat as Davis Rochester crept up into second. Treschl prevailed by using up everything he and his car had to hold off Rochester to get the win. The 2018 season continues with week 3 action next Thursday, June 21 for Scout Night at the Races, and will run each Thursday night through July 26, before wrapping up with a special-edition Saturday Championship Night on Aug. 4.